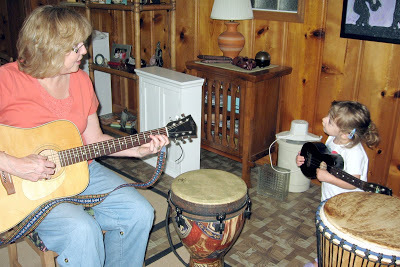 Cate enjoyed jammin’ with Jennifer a couple weeks ago. I’m thankful there are people in Cate’s life who can teach her about music. Even though I appreciate music and conjure up all sorts of memories by just hearing a song, I am not very musical myself.